Inside: Teach your kids about logical thinking with these printable sudoku for kids puzzles. Use them as worksheets or create a mini binder to use over & over. Plus see all our fun ocean kids activities here. Over the last few weeks, I’ve been posting busy bag ideas for my younger son. 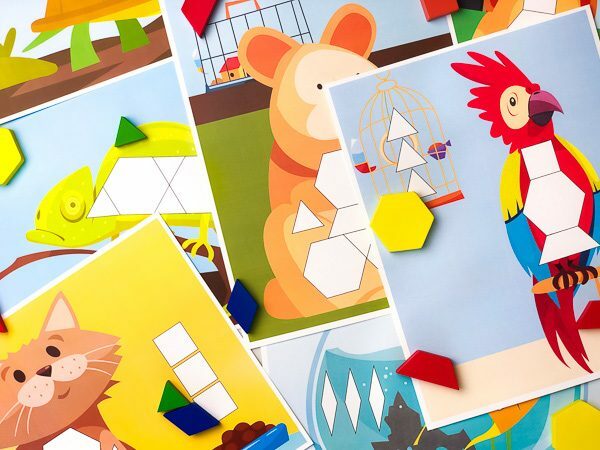 He’s tried this file folder numbers game and this cute shape matching game. They’re easy to take on the go and get some quiet playing when necessary, but I didn’t have anything for my 7-year-old. I do think he’s old enough to listen and be quiet when asked, but it never hurts to have an engaging activity he’ll enjoy. Especially when he’s having an antsy day at church. When I started thinking about what to create for him, I knew he’d love something logical. He has enjoyed doing puzzles and games since he was a young toddler so I decided to create some sudoku puzzle for kids. My son has never played Sudoku before so I’ll have to teach him how to play but I expect he’ll catch on quickly. To make it easier and more fun, I’ve replaced the numbers with ocean animals. 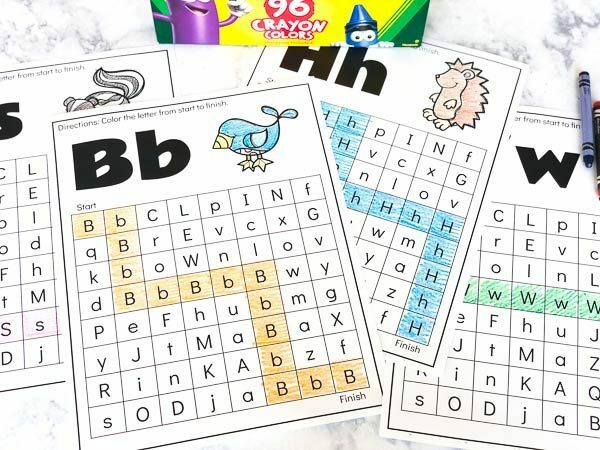 You can use these printables in one of two ways. 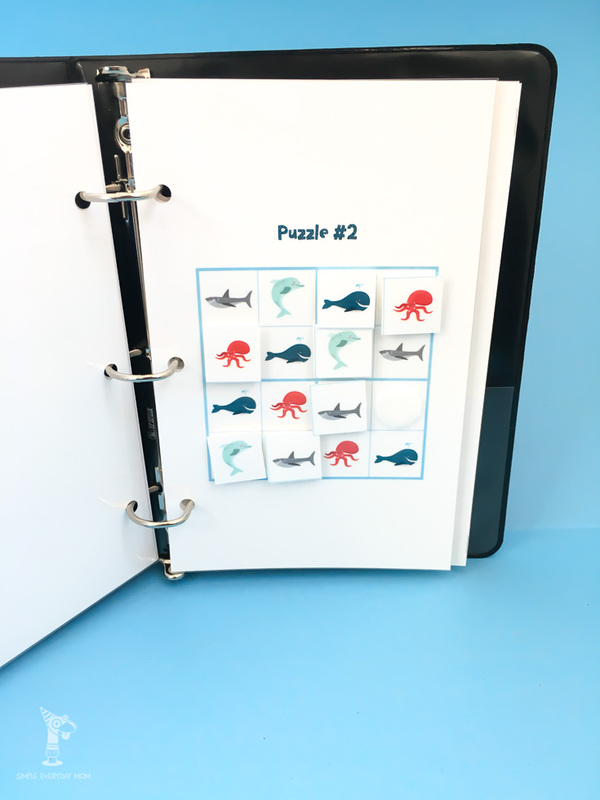 First, you can print them out as worksheets to instantly have an activity at hand. 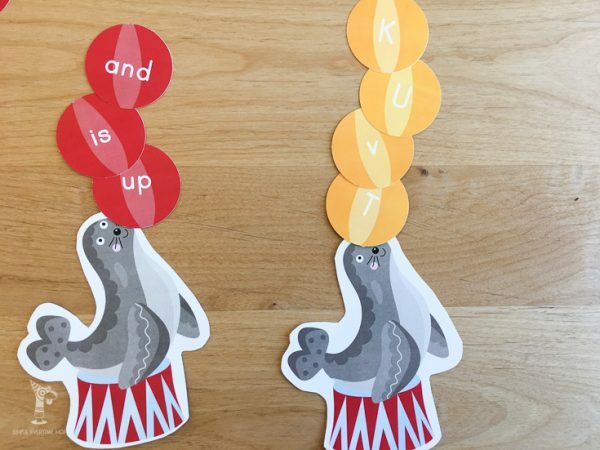 This is great for playgroups, classrooms or when you just need an activity for them to do now. The other option is to create a reusable travel sudoku binder for kids. I chose this option so my son could take it with us to church and practice over and over again. This post contains affiliate links which means if you purchase an item from one of the links below, I will earn a small commission (at no additional cost to you). You can read my full disclosure here. You’ll need a few supplies to create this travel binder including the following. Print out all sudoku pages (select “fit to page” for best fit) on white cardstock. Laminate all the pages you want to use in the book. Cut paper in half on the black lines. Attach one side of adhesive velcro pair to all blank spaces. Laminate the “sudoku animal squares” and cut out individually. Attach the other side of adhesive velcro to each square. To try out a sample worksheet, simply enter your email address below and you’ll receive one free printable sudoku puzzle worksheet. If you enjoyed this post, I’d love for you to share it on Pinterest.